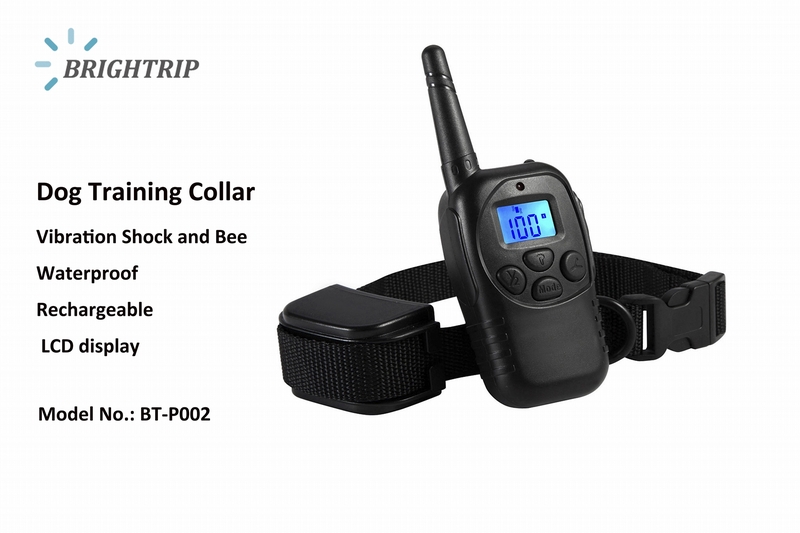 300 Meters Remote dog training collar with large LCD digital displayAn effective and smart way of training your dog, using a device, instead of - or in addition to - "tricks and treats"
An effective and smart way of training your dog, using a device, instead of - or in addition to - "tricks and treats". - Remote dog training device with LCD display.Rechargeable and Waterproof. - Multifunction training which includes. LED light, Static Shock, Vibration and Beep. 100 levels of vibration & static (optional). Really Intensity adjustment to Static shock by changing current value instead of frequency adjustment, more effective for badly behaved pets. - 4 levels of Vibration and static can be displayed by an easily-visible LCD screen. Easier operation. Turn on/off receiver by button pressing and flashing LED indication during encoding. - Featured power saving design and memory function. - 300 meters control range. 60cm length high quality Nylon strap is suitable and fashionable for Mini Dog, Small Dog, Medium Dog and Large Dog. 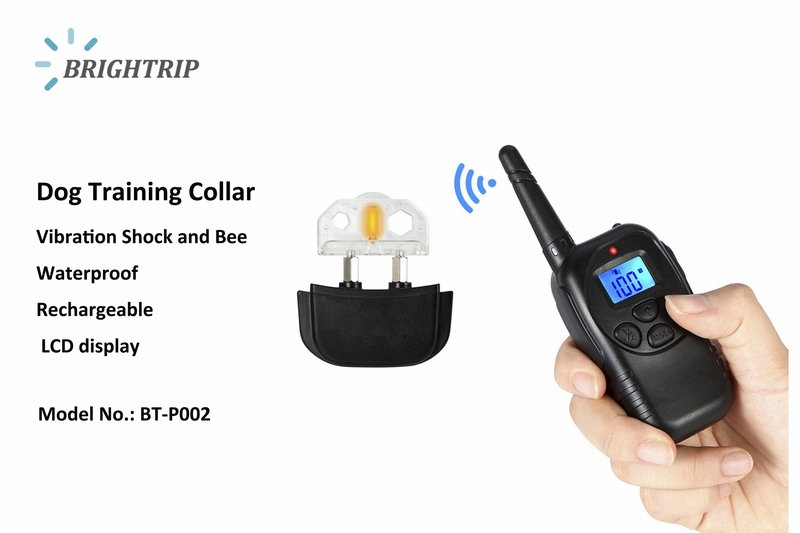 - Rechargeable remote transmitter and receiver collar can manage 2 dogs at the same time. EU, US, AU, UK charger is alternative, both transmitter and receiver get charged simultaneously.